The 13th annual State of Agile survey has been announced by CollabNet VersionOne. This yearly survey explores the worldwide adoption of agile. As usual, the ThoughtWorks Technology Radar covers four areas - Language & Frameworks, Platforms, Techniques, Tools – each item having one of four recommendations – Adopt, Trial, Assess, Hold. This article lists only what is new and noteworthy in the respective areas. RightScale published the results of its survey report highlighting the devops trends in the industry. Docker, Puppet and Chef dominate the tools market, with Docker adoption rising in the enterprise. The next phase of DevOps will involve collaboration between engineering and non-engineering teams. 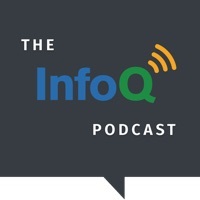 InfoQ interviewed John Willis about what made him decide to talk about burnout, the possible effects of burnout for a person, how burnouts are impacting the software development industry, leading indicators of a potential burnout and how they can be used to prevent burnouts, and suggestions for dealing with mismatches between employees and organizations that can cause a burnout. Stack Overflow appreciates that out of more than 40M people visiting their website each month, 15M are professional developers. In this year’s annual survey Stack Overflow asked 45 questions to the 56,033 users who accepted to participate. We are covering here some of the most interesting results. The state of testing survey aims to provide insights on a number of aspects of the testing profession. Reviewing things like the adoption of test techniques and practices, test automation, and many of the other challenges that testers are facing today. The survey, made by testers for testers, is organized by Joel Montvelisky from PractiTest together with Lalit Bhamare from Tea-Time with Testers. The gap in agile adoption between Eastern Europe and the US and Western Europe is becoming smaller. Scrum is the most widespread framework, Kanban adoption is growing and SAFe, LeSS, DAD are trending. The way that companies are transitioning to agile is significantly different in Eastern Europe. The recently published survey, State of the Developer Nation Q1 2015, conducted by VisionMobile analyzes the key mobile developer trends including the status of mobile platforms, Swift and revenue. ThoughtWorks has published a digital preview of the January 2015 radar, providing opinion on techniques, tools, platforms and languages and taking a snapshot of the current trends in software technology. Anne Thomas has summarized in a webinar the shift from large applications to small focused apps relying on services, while Matias Duarte has spoken in an interview about connecting these apps. Sixth edition of the World Quality Report, co-sponsored by Capgemini, Sogeti and HP 2014-15, highlights recent changes in testing practices, emerging trends such as agile testing, test environment management, mobility, data analytics, cloud and Internet of things. InfoQ's research initiative continues with an 15th question about: "NoSQL Database Adoption Trends". This is a new service we hope will provide you with up-to-date & bias-free community-based insight into trends & behaviors that affect enterprise software development. Unlike traditional vendor/analyst-based research, our research is based on answers provided by YOU. x[cube] Labs has created an infographic that shows current developments and major trends in enterprise mobility including devices, platforms and application choices.